Let’s discuss the importance of seeing a copy of your annual credit report and share tips on achieving better credit. Everybody who has been issued a social security number has a credit report and this is the case regardless of whether you’ve ever opened up a credit card account. There are three main reporting agencies: Equifax, Trans Union, and Experian. Each of the three companies may have slightly different information from each other, and this is why it is good to see all three records. Your credit bureau will have your name, address, and telephone number, social security number, and a listing of every loan taken out in your name. It will also have accounts on which you are a co-borrower, cosigner, or on which you are an authorized user. The data contained there can even include events that happened decades ago. 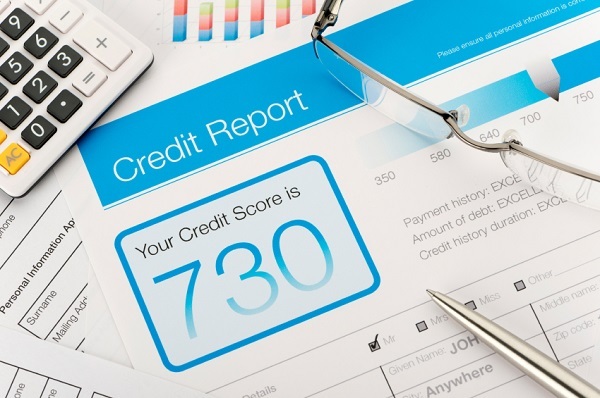 What Is the Annual Credit Report? According to the Fair Credit Reporting Act, every person is entitled to see a copy of their three reports once every year, and this service is to be provided for free. Your creditors send out information every month that is stored in your file, and over the course of a year, the changes can be dramatic. Checking this at least once a year will help you to keep abreast of what is being reported about you, and that is why it is highly recommended that you take the time to inspect this document thoroughly. Who Needs to Obtain Their Annual Credit Report? Checking this material is crucial for absolutely everyone, especially if you are planning a major life change soon. In today’s world, your credit history can also be used for more than just determining borrowing eligibility. It can be scrutinized by landlords, by prospective employers, judges, utility companies, and by car and life insurance firms. Governmental agencies can also use it to determine whether you will qualify for certain benefits. While experts recommend that you check this information at least once a year, it is possible to review your data more often than this. There is no need to worry about negatively impacting your credit score, no matter how often you do this, as the reporting system differentiates between what are called hard and soft inquiries. Hard inquiries can cause your score to drop, but soft inquiries do not have this effect. Checking your own file registers as a soft inquiry, so you can do this as often as you like. The websites and agencies that handle your reporting will not hand over the information in your record without a tremendous amount of verification because the bureau is filled with sensitive data. Because of this, you will want to have statements available from your mortgage lender, credit card numbers from existing and previous accounts, car payment info, student loan accounts, and identifying data from any other major loans you may have. The prompts may ask you questions regarding these items in order to prove your identity. As soon as you are ready, you can choose from a number of ways to get your annual credit report. You have the option of going to sites like freecreditreport.com or annualcreditreport.com, or you can contact Equifax, Trans Union, and Experian directly online. You also can decide if you want to view your annual credit report on the internet or whether you would like to have a copy mailed to you. Credit.com will send you a copy by parcel, and you can place your order by calling them at 1-877-322-8228. It is always possible to download and print your annual credit report directly, using your home computer. The only caveat to this is that you need to make sure that your connection is completely secure. The best way to do this is to make sure that your antivirus is up-to-date and that your system has been scanned recently. When a person opens an account in your name, it will negatively affect your credit rating. Getting annual updates is vital because you can look over every detail to make sure that there are no unauthorized accounts listed. In the event that you do find something, you will need to contact the companies through which the line of credit was established, letting them know this particular account is fraudulent. You then need to communicate with the three reporting companies to ask them to remove the information from your file. Writing a consumer statement is also strongly advised in these cases. It is basically a mandate from you to any would-be creditors letting them know you have been a victim of fraud and that they must contact you at the address and telephone number you have provided before they issue any credit in your name. Getting your report can also help you remedy problems that are bringing your total down. Some steps you can take to boosting your count are to pay all of your bills before the due date every month and to pay more than the minimum due. It also helps to keep balances well below the maximum allotted amount and to not apply for new loans very often. It helps to keep existing accounts open, and checking your report is a good way to keep track of your progress. Your credit score is a number that determines your overall creditworthiness. The scale runs between 300 and 850, and it is used by creditors to assess their level of risk when loaning you money. Also, a person with a lower rating is going to be charged a higher level of interest than a person whose reputation is better. Certain banks will not issue credit to people whose history is particularly bad. The benefits to staying financially fit are myriad, and it is definitely worth your time to stay on top of what is in your credit report. Visit any of the websites listed today and find out what is in your file, making sure to quickly find solutions to any problems you may find.